Fox News peddled a new lie about Houston, TX’s LGBT non-discrimination ordinance, blaming the measure for unrelated subpoenas issued against a number of local anti-gay pastors. On October 10, the city of Houston subpoenaed documents related its recently-passed Equal Rights Ordinance (HERO) from five local pastors who had opposed the law. The subpoenas are part of the discovery phase of a lawsuit filed by opponents of the ordinance who allege that the city wrongly disqualified petition signatures supporting a repeal referendum. 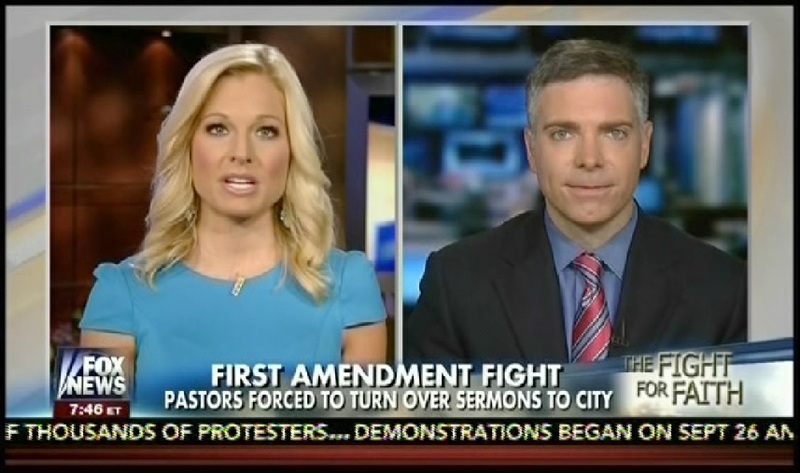 Conservative media outlets, led by Fox News, have inaccurately accused the city of attempting to “harass” and “bully” the anti-gay pastors, depicting the subpoenas as an assault on religious liberty.